Portsmouth's creditors have voted in favour of Balram Chainrai's Company Voluntary Arrangement proposal at Monday's meeting at Fratton Park. He now has 28 days to make good on the proposal, and start the process of bringing Pompey out of administration. 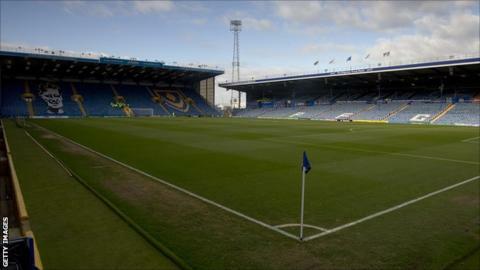 But the decision does not mean the end of the line for the Pompey Supporters' Trust, who had submitted a rival offer. "There was an air of cooperation at today's meeting which suggests Portsmouth can be confident of kicking off the new season, without further points penalties. "A key breakthrough was made with the major creditors agreeing to a plan for the future. Indeed, Portpin's willingness to compromise means the door is now open to other bidders - including the supporters - to make a more realistic bid for Portsmouth. "Ultimately, the ball is in the court of the players. Neither Portpin nor the fans will proceed while the majority of a £12m wage bill remains on the books. Compromises were made today. Now the question is, will the players, protected by the Football Creditors rule, be prepared to compromise too?" If Chainrai takes Portsmouth over, the PST can do a deal with him directly to buy the club. Alternatively, if the PST put a better bid together within the 28 days, then administrator Trevor Birch can choose them to take the club forward, irrespective of the creditors' decision. They accepted an offer of two pence in the pound from Chainrai's company, Portpin. The Hong Kong businessman formerly owned the club in 2010-11 and is personally owed about £19m. In total, however, Pompey are currently £58m in debt after previous owners Convers Sports Initiatives went into administration. And because Chainrai ceded exclusivity at the meeting, Birch now has the freedom to chose a different offer if he feels it is better. During the meeting Birch told creditors that the PST's bid to buy the club was "worthy of serious consideration". Supporters have been pledging a minimum of £1,000 to help support the bid while the Trust recently revealed they had attracted five 'high net worth' individuals who had offered over £1m. However, Birch added that exiting administration would not guarantee the club would be granted their football share in the Football League as a newco. Membership is always "at the discretion of the league," he added. "Today's decision is another important milestone for Portsmouth and takes the club a significant step closer to leaving administration. "We are beginning to see light at the end of what has, at times, been a very long and dark tunnel. This is, however, still dependent on restructuring the player cost base, which is a condition of both the existing offers. "As well as securing approval of the CVA, we have also agreed modifications that will enable us to enter negotiations with other interested parties. "As a result, we plan to meet with the Pompey Supporters' Trust, which submitted an indicative offer for the club last Friday, in the next few days in order to discuss its bid."